I post Jordyn’s new hairstyles on social media (Facebook and Instagram) on Mondays. The more styles I post the more people are interested in the hairstyles. On numerous occasions people have recreated the styles on their little ones and told me how much they love them. This is when I decided to keep track of her hairstyles to share with other parents for ideas. One of my favorite parts of natural hair is how versatile it can be. 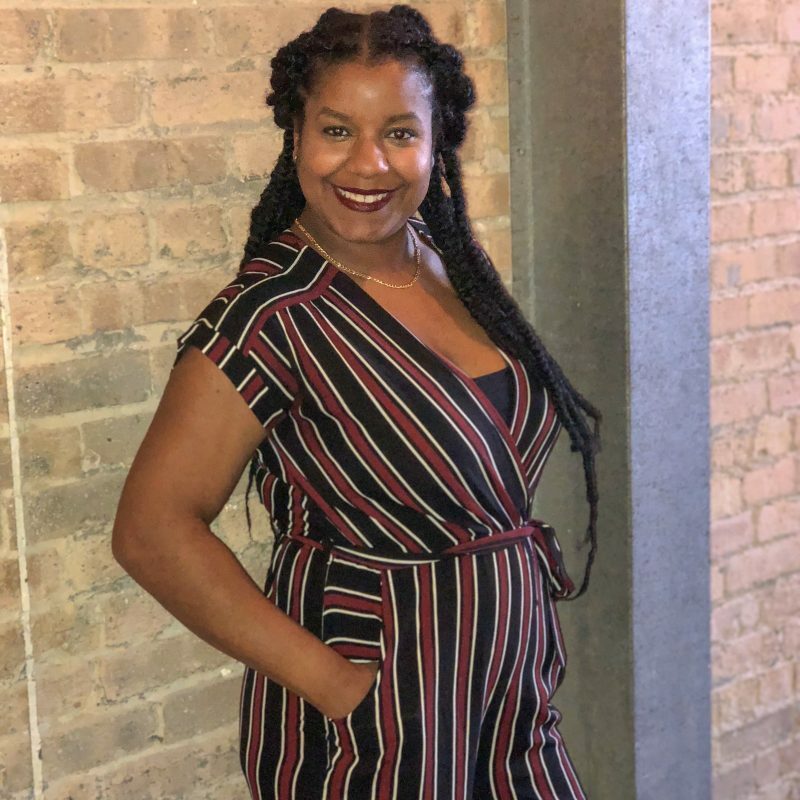 From braids, to twists, to updos, natural hair can do it all. Then, if you feel yourself getting bored with these styles you can always blow dry or straighten natural hair for an entire different look. One of my not so favorite parts of natural hair is the price tag of the products and time it takes to do natural hair. If you have natural hair or know someone with natural hair you’ve heard the complaints of wash day and product pricing. It’s a never-ending cycle, but at least it results in healthy hair. Most, if not all, of these styles have two braids along the edge of Jordyn’s hair. I do this to prevent her hair from breaking off in along her hairline. Her hair was starting to break off along the edges and these braids have helped it grow back and remain healthy. You can decide to omit this part of the hairstyles if you choose. It will still look just as cute. I promise! Part the hair in sections. It not only makes washing and conditioning hair easier, it makes doing these styles easier. Every single style I share below is started with the base of her hair parted in eight sections. Jordyn has extremely thick hair so cream based products work best in her hair. My favorite line is Cantu kids and I use the Curls brand edge control. Her hair is also easiest to manage when it is wet. This is why I like doing her hair right after it has been washed. This braided up bun is one of my favorite styles on Jordyn. It’s one of the longer styles to do because of the braids, but it’s so cute. This style is perfect for special occasions too. This hairstyle reminds me of my hairstyles as a little girl. The hair accessories make this style so much fun and you can use whatever colors you want. This style is simple but unique. It’s one of the styles I use if I need to do her hair quickly. I just braid each individual section and connect the back middle braids together. It looks complicated but is super simple. This last style is for all of you who need options for non-braided hair. I completely understand everyone doesn’t know how to braid. So here is a half up half down twist style. Here is a bonus style for all of you non-braiders as well. This style is a result of the twist style up top. Once you take your child’s hair out of the half up half down style you get this super cute twist out. This is one of my all time favorite hairstyles on my daughter. In the upcoming weeks I will be putting together ebooks separated by braided and twisted natural hairstyles. 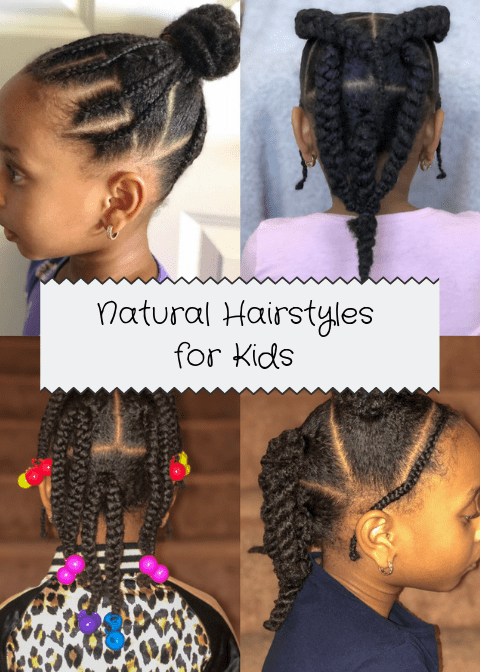 In the mean time, I hope these styles keep you and your young ones going for creativity and fun hairstyles! Love this!!!! I am going to start the braid along the edges for London too. I try to not always put stress on those areas because it is so easy to break. Have you explored other hair lines for kids? I am going to try the mane choice kids when I can catch a sale. I’ve heard nothing but great things from the adult line. The braids along the front have helped SO much! I just don’t do them tightly. They look tighter than they actually are which is nice too. I haven’t tried that particular hairline but I have tried a few others and these ones are my favorite on her hair so far. You’ll have to let me know how you like Mane Choice!